HomeTransgender Kids: Who Knows Best? Transgender Kids: Who Knows Best? Transgender Kids: Who Knows Best? 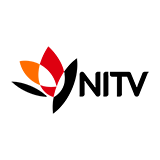 is a TV show on Australian national television from ABC2 with an average rating of 4.0 stars by TVCatchUpAustralia.com's visitors. We have 1 episodes of Transgender Kids: Who Knows Best? in our archive. The first episode of Transgender Kids: Who Knows Best? was broadcast in November, 2017. Did you miss an episode of Transgender Kids: Who Knows Best? but don't you wan't that to happen in the future? Please set an alarm and add Transgender Kids: Who Knows Best? to your favourites, so we can remind you by email when there's a new episode available to watch. Completely free: handy! Transgender Kids: Who Knows Best? explores the divisive debate over whether a child should be free to make permanent changes to their gender. Spicks And SpecksCatch up TV on Spicks And Specks. 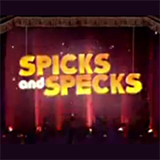 Watch the latest and all other episodes of Spicks And Specks now online, broadcasted on ABC1. Catch up on your favorite ABC1 TV show: Spicks And Specks. ABC News UpdateCatch up on ABC News Update and watch online. 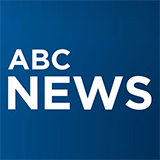 Find the latest episodes of ABC News Update, broadcast by ABC2. FlowersCatch up on Flowers and watch online. Find the latest episodes of Flowers, broadcast by ABC2. The Office (Us)Catch up on The Office (Us) and watch online. Find the latest episodes of The Office (Us), broadcast by ABC2.